Working on a remote rig site makes it difficult to get good food consistently. Most of our work consists of 24-hour jobs, so this dilemma affects not only our day and night crews but also the customer representatives at the well site. Axis is fortunate to have a very special person in our sales organization, Victor Cart, who not only excels at his job but also loves to cook. Growing up in the Lafayette, LA area, Victor says he was surrounded by people “who loved to cook and loved to eat.” As a result, he became a tremendous chef. 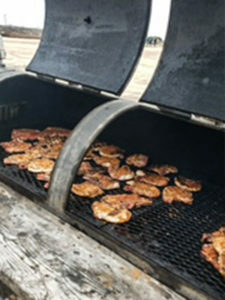 Now he travels throughout Texas and Oklahoma cooking jambalaya, pork chops, fish, chicken and other Cajun specialties at rig sites where Axis is providing services. Since January, Victor has cooked more than 60 times for customers including Chevron, Chesapeake, Concho and Sable. 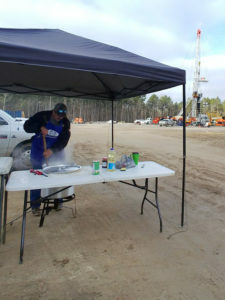 That means Victor has cooked at a rig site every week this year. Victor deeply respects our employees and customers who work night and day, and it gives him great pleasure to make people happy with his cooking. Everyone who enjoys one of Victor’s meals wants to know how he makes everything taste so good. With that in mind, we are including his special recipe for chicken and sausage jambalaya below. Please continue to check our website for additional recipes from Victor’s cookbook in the future. 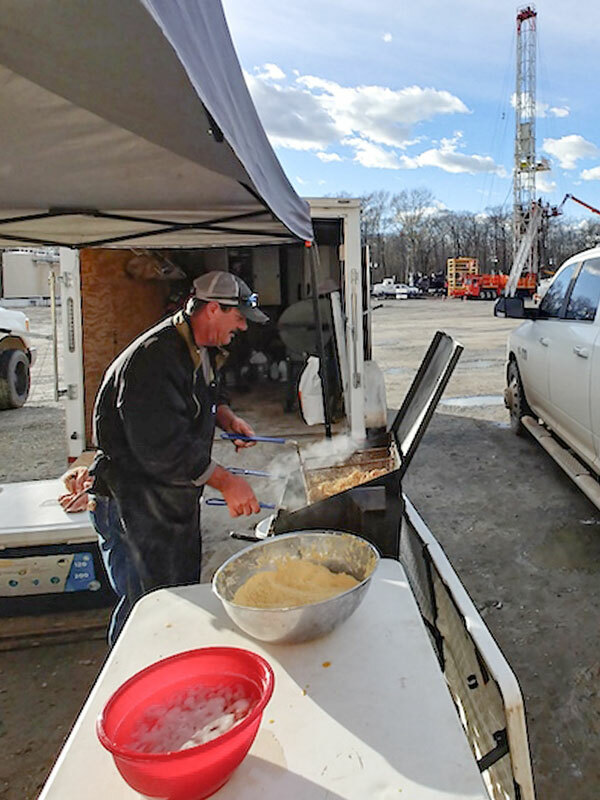 If you are using Axis services and would like Victor to cook at your well site, please contact our Vice President of Corporate Sales, Erik Coleman, at erik.coleman@axisofs.com and he will be happy to schedule a cookout. In a large pot, cover chicken with water; add celery, onion and 1 clove garlic. Boil until tender, about 1 hour. 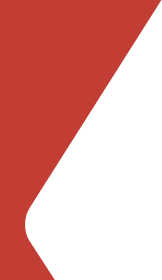 Reserve stock. Remove meat from bones. In 5 cups stock, cook rice until all liquid is absorbed, about 25 minutes. In a Dutch oven, fry sausage and ham until lightly browned, 3-5 minutes. Remove meat. Add butter to pan and sauté onion, pepper and parsley until tender, about 3 minutes. Add chicken, sausage and ham. Stir in minced garlic, tomato paste, bay leaf, thyme, salt, pepper and Tabasco. Add rice and mix thoroughly. Cook over low heat 15 minutes, stirring frequently. Remove bay leaf and serve.